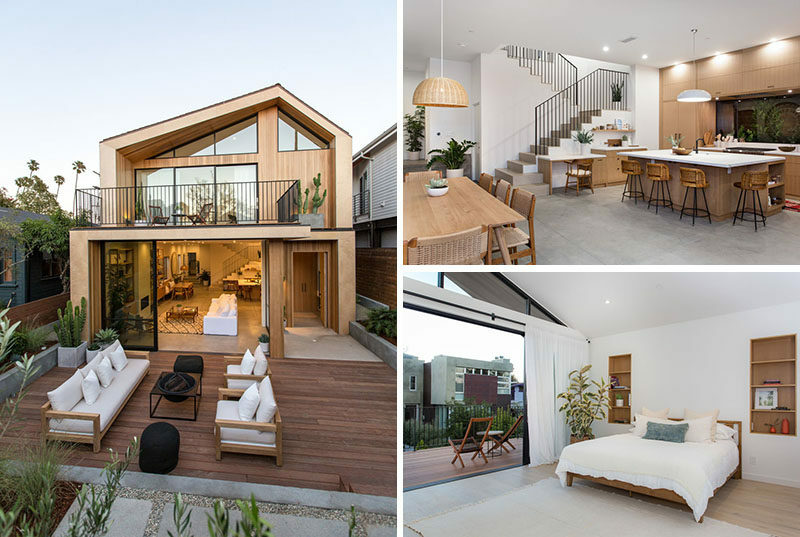 Architectural studio Electric Bowery have recently designed and built a new house in Venice Beach, California, that takes inspiration from mid-century Scandinavian design, as well as the surrounding architecture of neighboring homes. At the front of the house, there’s an outdoor living area that’s surrounded by mature landscaping. 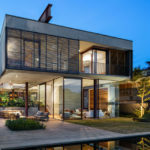 Stepping inside, either through the front door or the large floor-to-ceiling sliding glass doors, it quickly becomes apparent that the main floor is open plan with the living area, dining area and kitchen, all sharing the same space. 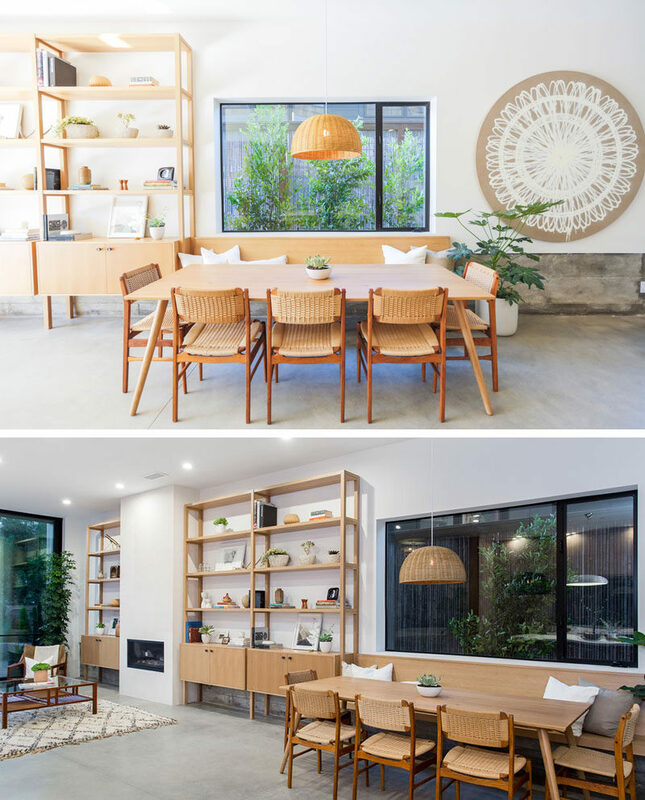 Next to the shelving is a wood bench that becomes seating for the dining table. The floor throughout the main level of the home is concrete. Opposite the dining area is the kitchen. Wood cabinets have been paired with custom white marble countertops to tie in with the rest of the wood accents in the open plan room and the white walls. A simple desk has been built into the end of the kitchen cabinets and sits at the base of the stairs. 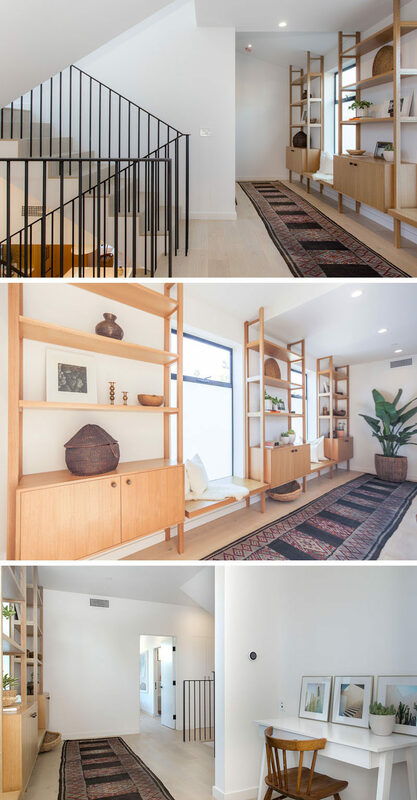 Wide oak flooring covers the upper floors of the home, and additional millwork provides the perfect spot for displaying personal items or for sitting and looking out the window. 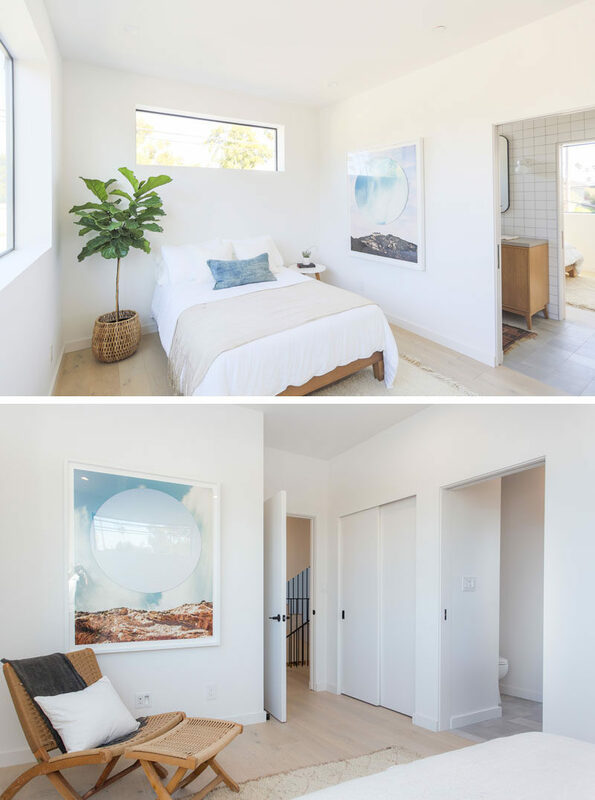 The bedrooms have been kept simple in their design, with white walls and only an art piece, plant and pillow to add some color. Off the bedroom is a jack and jill bathroom that can be accessed by a second bedroom. 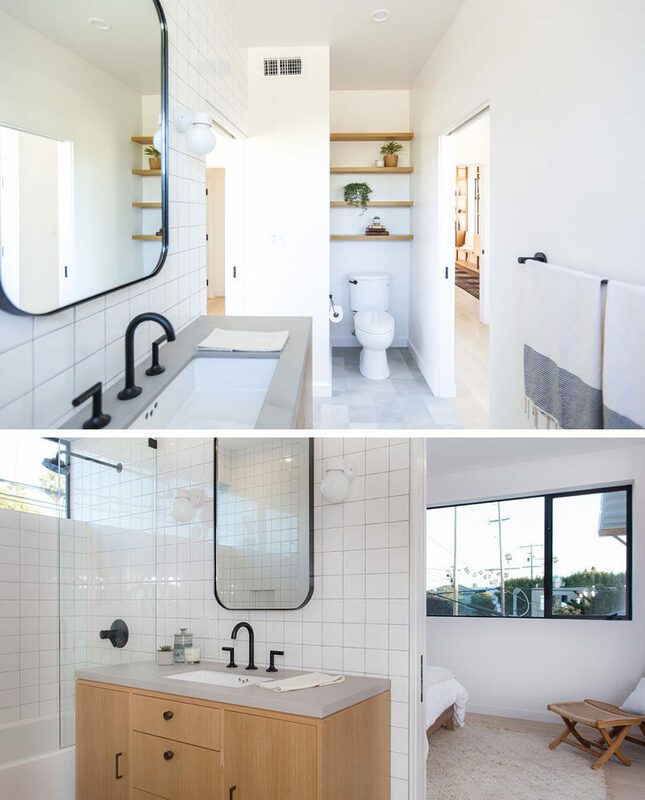 The bathroom features open wood shelving above the toilet, white black hardware and faucets contrast the square white tiles. 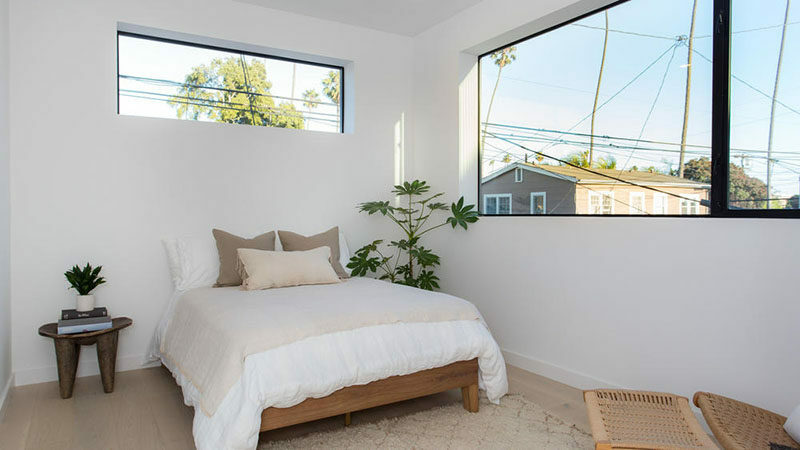 All of the bedrooms have windows that look out to the surrounding neighborhood. Tucked away in a small room near the bedrooms is the laundry room. Custom cabinetry has been used to frame the appliances and create storage. 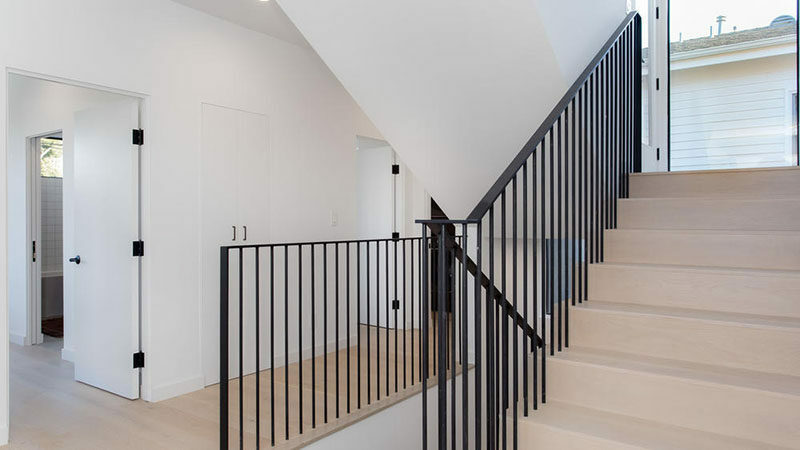 The stairs that connect the various levels of the home feature the same wide oak on the treads as the flooring, and black handrails tie in with the black door hardware. On the other side of the stairs is the master bedroom. 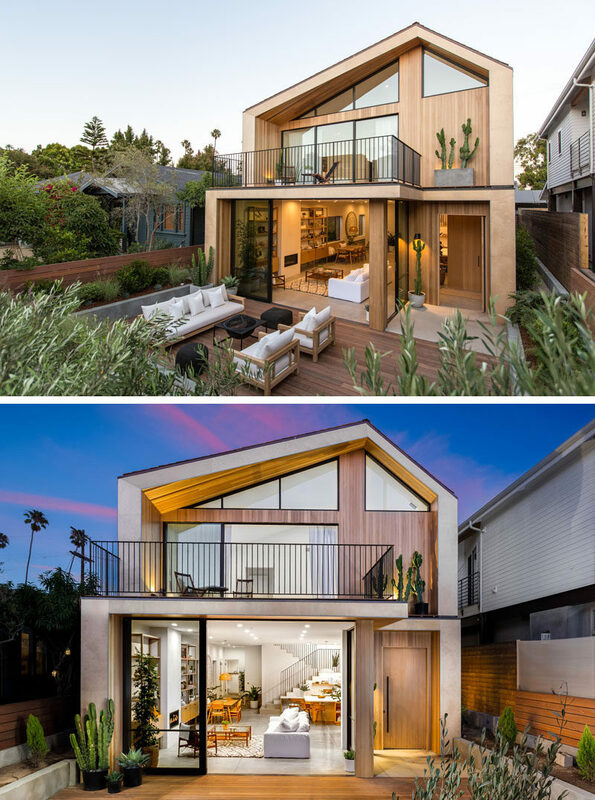 The bedroom features a vaulted ceiling making it bright and airy, while a balcony, which almost spans the entire front of the house, provides views of the outdoor lounge and street below. 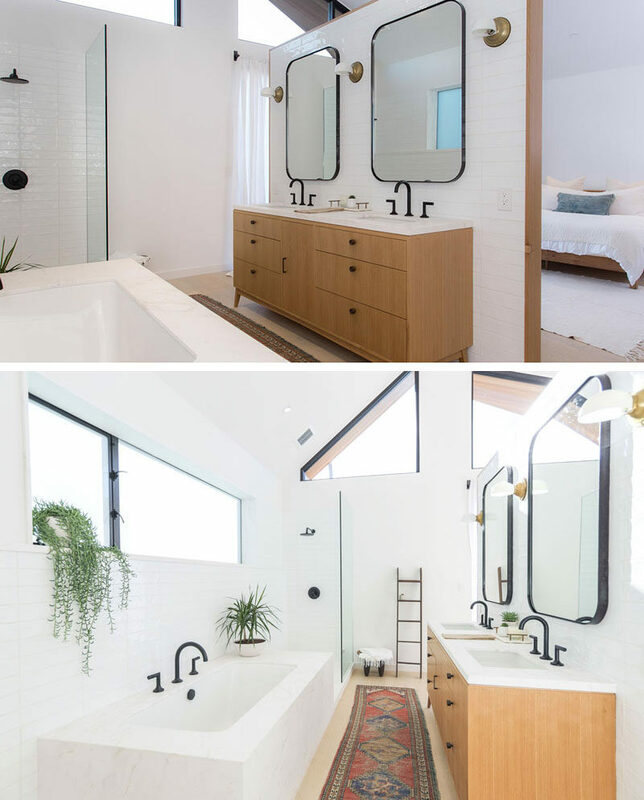 Behind a partition wall is the master bathroom that features a dual sink wood vanity, a bathtub and a walk-in shower. 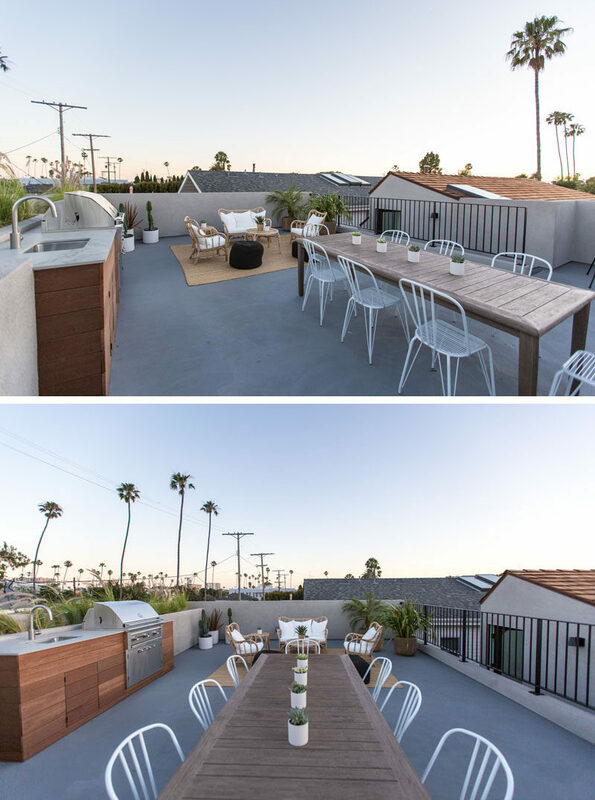 The roof of the house has been turned into a rooftop deck with a built-in outdoor kitchen with bbq, a lounge area and an dining area.